Keeping your family comfortable year ’round in Laporte requires having a quality air conditioning and heating system in your home. Whether you are looking for a new A/C system, or maintenance or repair on your existing unit, the professional air conditioner contractors at Specialized 72 Degrees are here to help you get the comfort you need for your home. 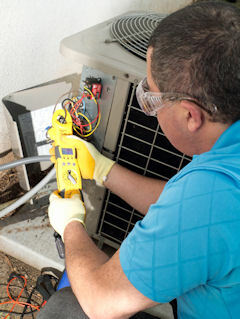 Routine maintenance is the best option to ensure proper operation of your air conditioner. But, even with regularly scheduled AC maintenance, you’ll eventually something repaired or replaced. When you do, call the HVAC experts at Specialized 72 Degrees. We have years of training and experience, and you can trust our team of experts with your family’s comfort. If you plan to get through the cold winter months without a reliable furnace, you are in for some uncomfortable nights. Schedule furnace installation, maintenance or repair with one of the HVAC experts at Specialized 72 Degrees. We’ll make sure that your furnace is properly sized and correctly installed to maximize both performance and efficiency. Keeping your family comfortable, and saving you money is our goal. At Specialized 72 Degrees we think that comfort should be a year round part of your life. That is why we offer comprehensive heating, air conditioning, and indoor air quality services. Your family should be comfortable in your home no matter the weather. Thermostats allows your heating and air conditioning system to communicate with you. Make sure that your thermostat is able to facilitate this relationship effectively. Call Specialized 72 Degrees for more information about thermostat installation, Sensi wireless thermostats, and other money savings options. Dirty duct work compromise the air that your family breathes while in your house. Schedule professional duct cleaning today to be sure that your air is as clean and fresh as it can be. Our duct cleaning specialists will ensure that your air ducts are circulating fresh, pollutant-free air in your Laporte, CO home. 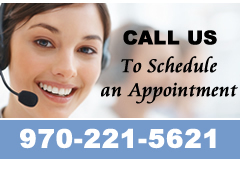 Contact Specialized 72 Degrees today to schedule your AC or furnace maintenance or repair.